Here are the nomination long lists for the Cybils Awards. I am sorry I haven't talked about it before, but there were TOO MANY posts about it. I didn't figure you would appreciate another. Now you can go to these links and look for books you might be interested in. LOVE IT! If you have no idea what a Cybils is, go HERE. I really think it says something about technology and I can use it in my classroom as well. Part of the curriculum at any grade is to incorporate technology. 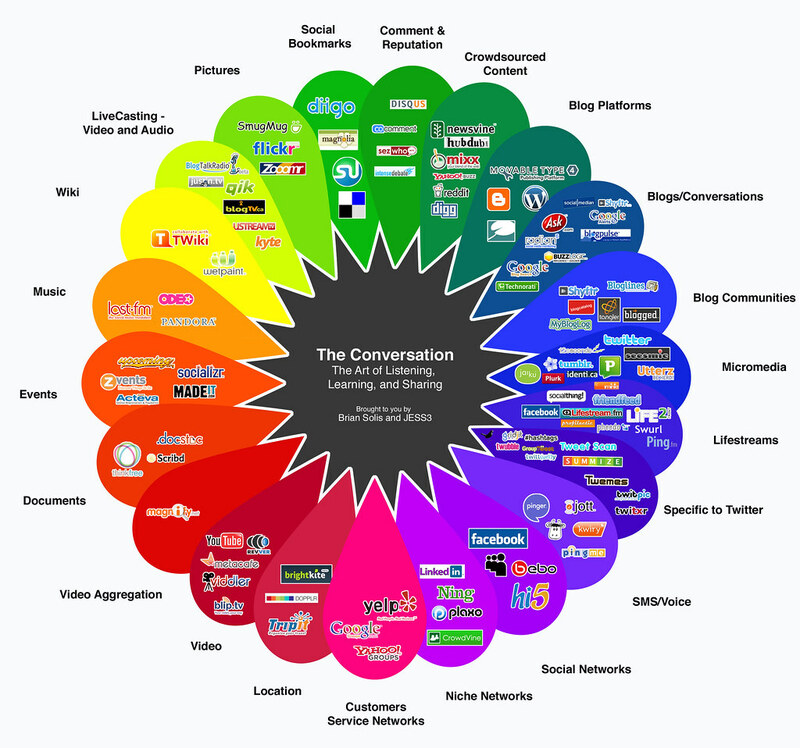 This diagram or picture shows very well how we use technology for listening, learning, and sharing. Andrea at Just One More Book. I love when I find good poetry that speaks to kids. 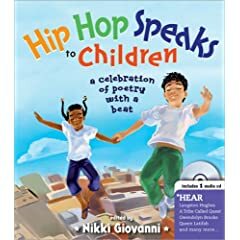 Hip Hop Speaks to Children by Nikki Giovanni really is that kind of book. It is a collection of poems and song lyrics including poems by the author Nikki Giovanni a well known poet, writer, activist. It also includes an companion CD. Sometimes it is hard for people to think of anything but "Rap" when they hear the words "Hip Hop." Hip Hop is so much more than that. It has rhythm, soul, and poetry. Not only that, but it is poetry kids relate to today. As I picked a few poems to read aloud to my class, I thought about topics that are close to their hearts right now. I found so much that fit! Poems such as "Why Some People Be Mad At Me Sometimes" by Lucille Clifton, "Books" by Eloise Greenfield, and "For Words" by Bejamin Zephaniah. But best of all was when I could read "From Principal's Office" by Young MC and tell the class that it was a rap song when I was in Junior High. When they didn't believe me, I could whip out the CD that accompanies the book and play the song for them! Oh, they thought that was great! What a better way to interest students in poetry than by showing them that their own favorite artists were originally inspired by poetry. And I guess I just realized this, but Nikki Giovanni grew up in Cincinnati, OH. Just down the road from us! How cool is that? 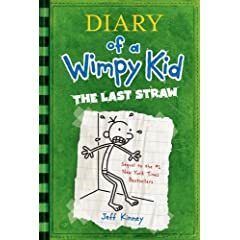 When I first began this blog, I was really excited to read the very first Diary of A Wimpy Kid by Jeff Kinney. I thought I had found a perfect book for reluctant readers and I was correct. In February I read the second book Rodrick Rules and I was thrilled to find out it was just as good as the first. I was worried somewhat when I saw how popular and commercialized the book was becoming. However, just like most teachers, parents, and even authors, who cares... as long as it gets them reading, right? While I am waiting for the third book The Last Straw, I received this really cool book, Diary of a Wimpy Kid Do-It-Yourself. "...really hard to describe. It's kind of a part comic book, part activity book, part blank journal. The hardcover book has 16 pages of full-color comics in the middle." More exciting, the book I received came with information on entering a Do-It-Yourself Comic Contest. Many of the students were very interested in this contest. 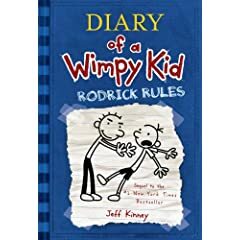 I think there will be a lot of competition out there with this new fascination with comic books and even more after they practice their comic skills using the Do-It-Yourself version of Diary of a Wimpy Kid. Please see Jeff Kinney's blog post for further information on the Do-It-Yourself Comic Contest.